Hey guys! Who here is in mid of pregnancy and have dry skin problem? 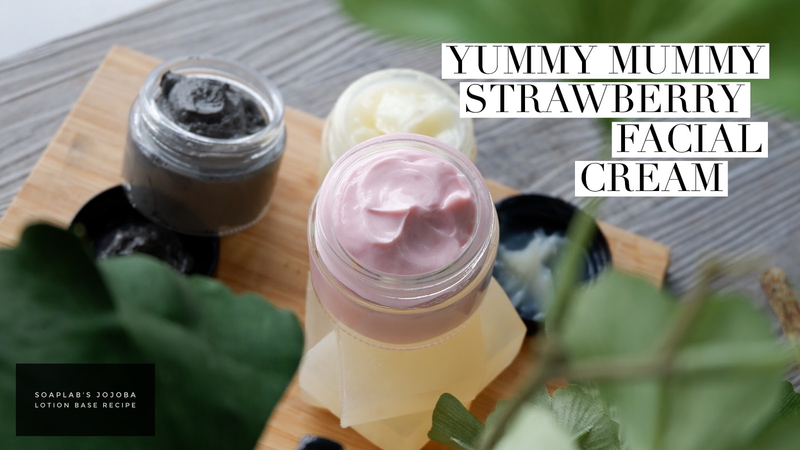 well; today we will be showing you the recipe for our Luxe Mummy Face Cream. Dry skin is common among pregnant mothers, thanks to the hormonal imbalances, so face creams can help moisturize and help repair the skin. The face cream uses a jojoba lotion base, which is anti inflammatory and rich with Vitamin E. Vitamin E is essential for repairing skin. Next add strawberry extract, which is rich with Vitamin C. Strawberry extract is great in fighting oily skin and also nourishes and revitalizes the skin. Add sweet patchouli essential oil, which has a soothing and calming effect. It also reduces inflammation of the face and heals wounds and cuts. With these ingredients, you will have a great face cream ready to be used. Enjoy!